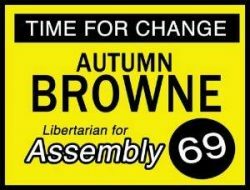 OC Politics Blog | Who will run for Ling Ling Chang’s seat in the 55th Assembly District? Possible candidates include West Covina City Councilman Mike Spence, former president of the California Republican Assembly and Chief of Staff to San Bernardino County Supervisor Curt Hagman, and two Republicans who ran strong primary campaigns against Chang last year, Walnut Valley schools trustee Phillip Chen and Diamond Bar Mayor Steve Tye, according to the O.C. Register. Also running is La Habra City Councilman Tim Shaw, who currently serves as Huff’s Chief of Staff. Shaw has endorsed Chang for the 29th S.D. after he stepped aside so she could run. That likely means that Chang will return the favor and back Shaw in the 55th A.D.
Shaw is hosting a campaign fundraising reception on June 20, 2015, from 5 to 7 pm at the home of Josie Anderson, at 161 N. Roscoe St., in La Habra. Tye ran for the 55th A.D. in June, 2014, and he came in dead last according to Smart Voter. He garnered under 10K votes while Chang picked up over 13K votes. Chen also ran in the June, 2014 primary, coming in third with just over 10K votes according to Smart Voter. Spence is currently running an online poll on his website asking readers to advise him on whether or not he should run for Chang’s Assembly seat. The GOP has an advantage in the 55th A.D. with 39% of the electorate. The Democrats are at 31% and Decline to State voters are at just under 26%. It is likely that two Republicans will advance to the General Election as the Democrats may not even field a candidate for this seat. I say Latuda Greg. Hop him up on Prozac and let him go nuts.